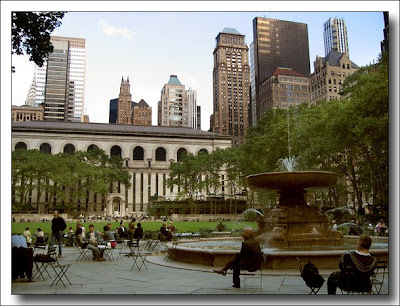 Bryant Park is one of our favourite green spots in Manhattan, and we visit it whenever we're in the city. It's a privately run park and there's always something happening. With the exception of twice yearly fashion shows, every event in the park is free to the public, including the ice skating rink which is erected during winter.